It seems like Indians have literally latched themselves to the AIB roast for reasons best known to them. Since the time they uploaded the videos on youtube, to the time when they brought it down and even days after that; the controversy in and around it just doesn’t seem to die. The latest addition to this ever-growing and never-ending discussion is our Mr. Perfectionist, Aamir Khan. He found the roast extremely offensive and ‘not funny’. He also said that he ‘scolded’ Karan Johar and Arjun Kapoor for being a part of such a show. Have a look. Obviously, this didn’t go down well with a lot of people who tweeted about how Aamir, the producer of Delhi Belly had no right to get offended by the roast since his film was equally abusive. Ace director Anurag Kashyap too felt the same and posted links to videos of Aamir defending the song D.K Bose at a conferece, on his Facebook page. Here are certain popular tweets about Aamir’s alleged ‘hypocrisy’. OMG! 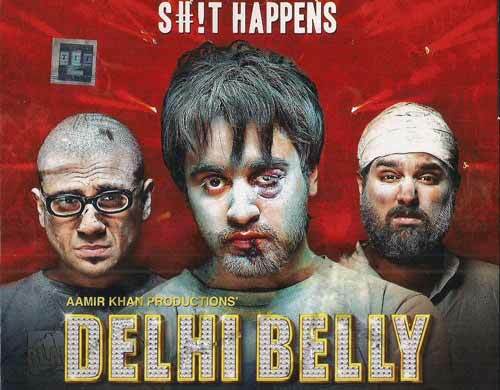 @aamir_khan called the #AIBknockout VIOLENT Ahahahahahahahahahahaha! Good marketing for #SatyamevJayate I guess! Aamir khan should again watch Mela and decide for himself what is violent. On the other hand, certain actors took it quite lightly and thought it isn’t an issue that requires so much attention. Watch what Anushka had to say about it despite of the fact that her name was used quite often in roasting Ranveer Singh. Sonam Kapoor was all supportive of her brother Arjun and the others and said that she personally ‘doesn’t believe in censorship.’ She also addressed Ashok Pandit in her tweet and slammed him. @ashokepandit comes across as a homophobic misogynistic loser. Are we really trying to curb freedom of speech and expression? Everyone knows Kamal. R. Khan doesn’t leave any stone unturned when it comes to hogging the limelight. He has reviewed the event and talked about how he already did all of this in Bigg Boss as a contestant and this doesn’t amuse him too much. He also questioned Sonakshi Sinha for laughing at AIB’s jokes on her weight. He said when he joked about her she said he doesn’t respect women. He questioned Parineeti Chopra for blocking him citing similar reasons. We suggest you watch the video for yourself to know more. It’s really not worth it though! Salman Khan and Shahruk Khan were equally shocked and angry with Karan participating in a show like this. Salman is also said to have blasted the hell of the AIB team for citing jokes on somebody very close to his family and warned them. He asked them to take off anything that even remotely addressed him or his family and obviously the team agreed. Have a look. It seems like Karan is bearing a lot of the brunt for his action. Although when it came to tweeting about it, he chose to use ‘silence’ as a key to everything. Well, with so many arguments and discussions we believe it’s best for Karan to maintain his silence.